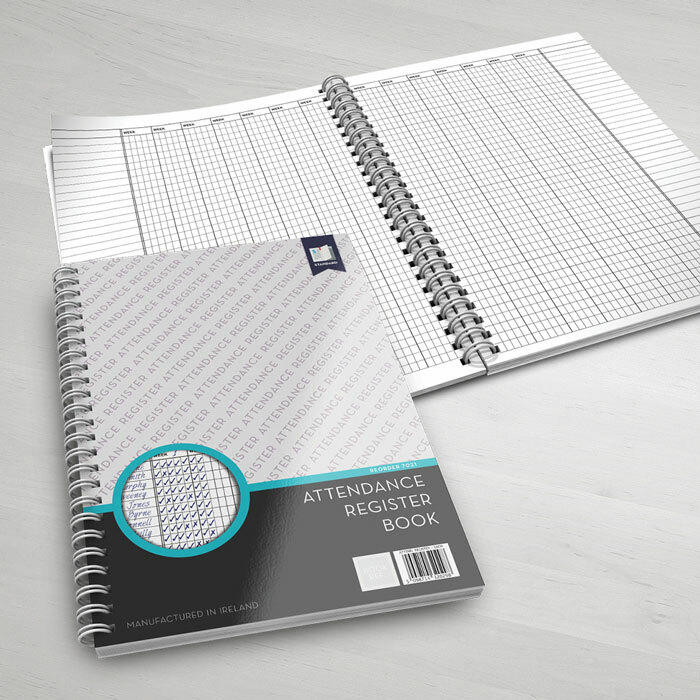 The Attendance Register Book contains 30 openings with 14 x 5 day weeks and spaces for 40 names on each opening. In many circumstances it may be useful to cut the name column away with scissors or scalpel to reduce rewriting names. For example, one book has sufficient capacity to cater for a school of ten classes with up to 40 pupils in each class. By cutting away the name column from the second and third pages, fifth and sixth, eighth and ninth and so on, you need only write the names for each class twice for the whole year! 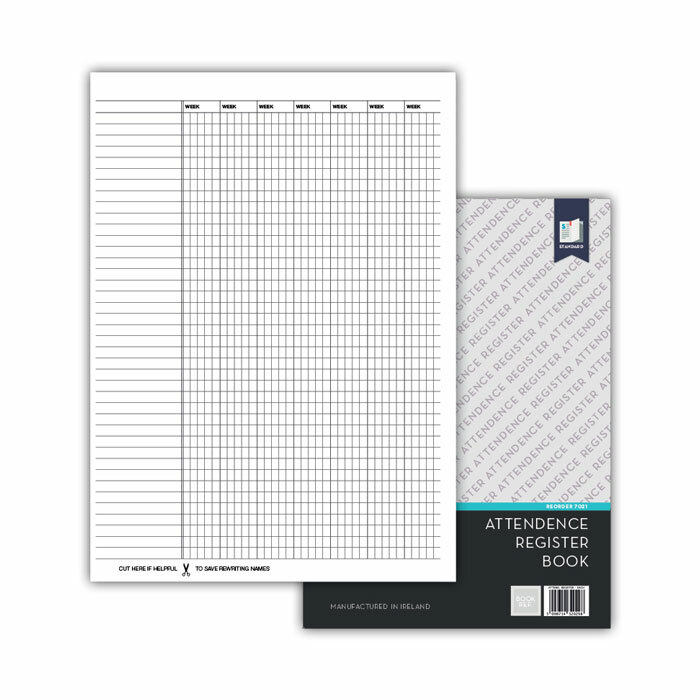 The Attendance Register Book is in A4 size with 60 pages and a unique lay flat binding finish, easy for writing across two pages and allows book to stay flat. 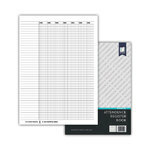 The Attendance Register Book is printed on high quality and with the finest material and finishing.